Is The ZAAP TX-5000 Power Vibration Trainer Powerful Enough To Meet Expectations? 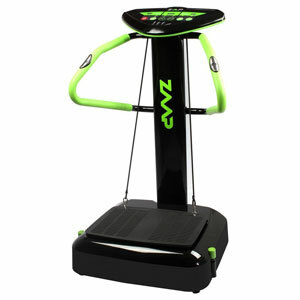 Vibration plates like the ZAAP TX-5000 Power Vibration Trainer are often seen as a simple way to lose a few pounds and tighten up because they don’t actually require much in the way of physical activity. This bold looking option, with its black and neon green design, promises a great range of potential benefits in a series of simple 10 minute sessions. This includes increased circulation, balance and muscle mass, and decreased body fat, fatigue and stress. Does this machine do enough to keep users fit and healthy?